European low cost airlines have become increasingly popular with travellers looking for cut-price flights. However, they come with many regulations, fees and penalties – perhaps more so than scheduled or charter airlines. These are often extremely complex and with every airline having different regulations – travel with European low cost airlines can be just a little taxing. The size of hand luggage, the cost of extra legroom and even the price of a cup of coffee vary depending on which of the European low cost airlines you chose to fly with. Being aware of the extra fees and charges you may face before you fly is extremely important. It can prevent you from having to pay large sums at the airport. Did you know that the penalty for overweight baggage can vary between £7.50 and £45 per kilo? Even using a credit card can lead to extra charges with some airlines adding up to £15 per booking in administration fees. Don’t get caught out by restrictions on European low cost airlines restrictions. Instead follow this handy guide so you’re well armed on the rules for flying with each. Also don’t miss our guides to travelling on low cost airlines in North America and Asia. 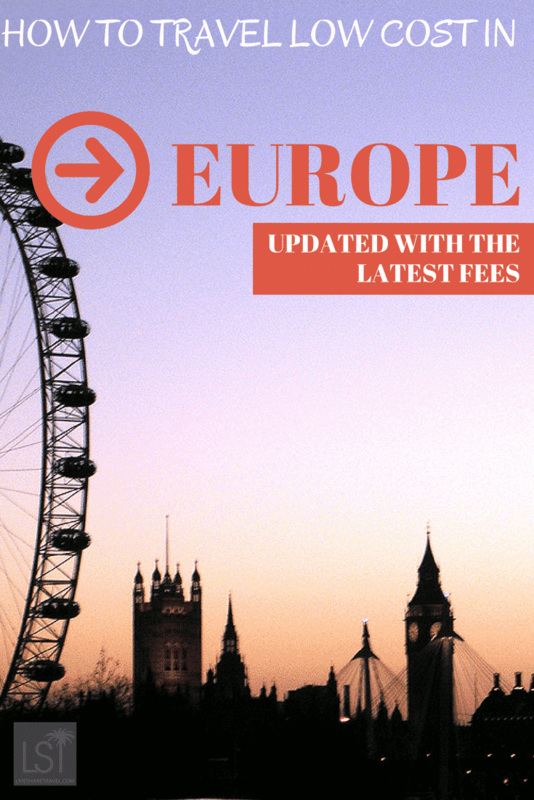 Travel on European low cost airlines doesn’t have to be basic. Want to upgrade your low cost travels? Take a look at our guide to upgrading the service you receive on low cost flights. bmi Regional Card Fee: Bookings made by credit card will incur a charge of 2.75% per booking. Admin Fee: Bookings made via the airport or call centre will incur an £8 per person charge. A refund administration charge of £35 applies to non refundable tickets, and tax will also be refunded. 55cm x 40cm x 23cm. Make take an additional handbag or laptop case. Ticket Change: £50 + difference in fare for Classic fares, £100 for ClassicPlus fares and no fee for Executive fares. Not available on Sale fares. Bookings made by Visa Credit Card will incur an additional fee of 1% of the total transaction. 55cm x 35cm x 20cm. Make take an additional handbag or laptop case - both items must have a combined weight of 10kg. German Wings Card Fee: Payments made by Credit Card or PayPal will incur a surcharge of £9. Check with airline, prices vary by flight. Flight numbers starting with ZB are non-refundable. For all other flights, contact your travel agent. Credit Card payments will incur a fee of 2% of the total transaction. Make take an additional handbag or laptop case which must not exceed 35cm x 20cm x 20cm. Payments made by credit card (Amex and Diners) will incur a charge of 2% of the total transaction. 55cm x 40cm x 20cm.